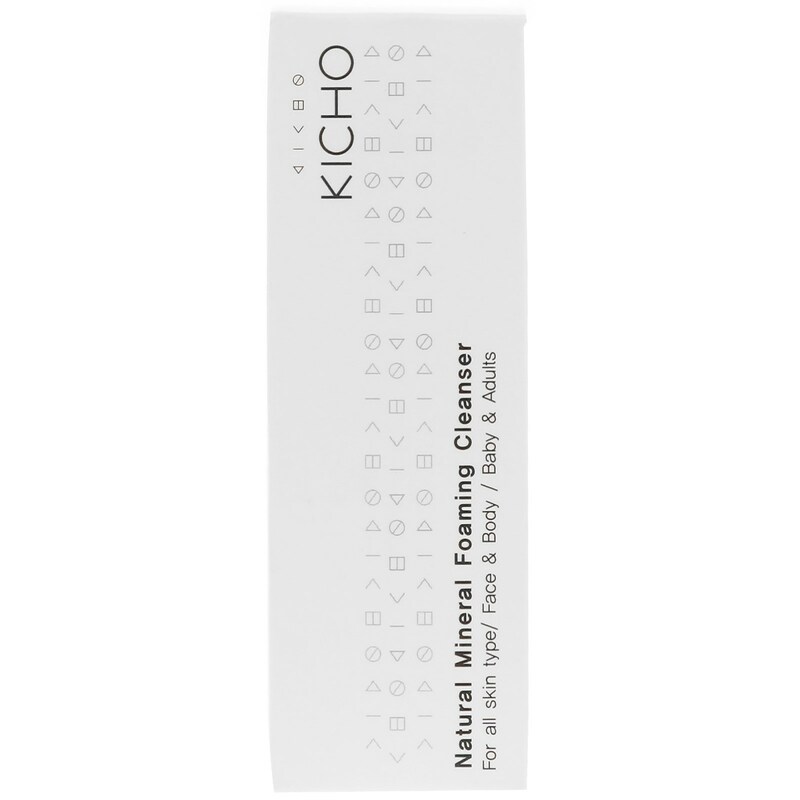 Kicho's Natural Mineral Foaming Cleanser is an ultra-gentle, highly effective cleanser suitable for all skin types, from babies to adults. Enjoy the moisturizing lather and beautiful scent for face, body, and even hair. Seven types of sprout extracts are at the heart of the cleanser's purifying and soothing formula that leaves skin refreshed and softened. 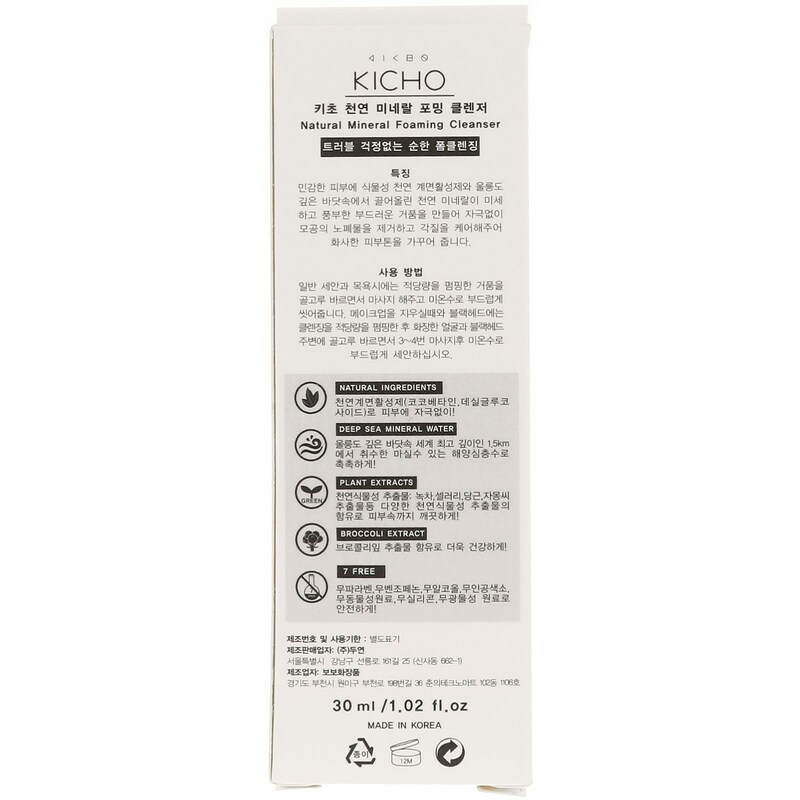 Formulated without parabens, benzophenone, alcohol, silicone, artificial dyes, and animal ingredients. 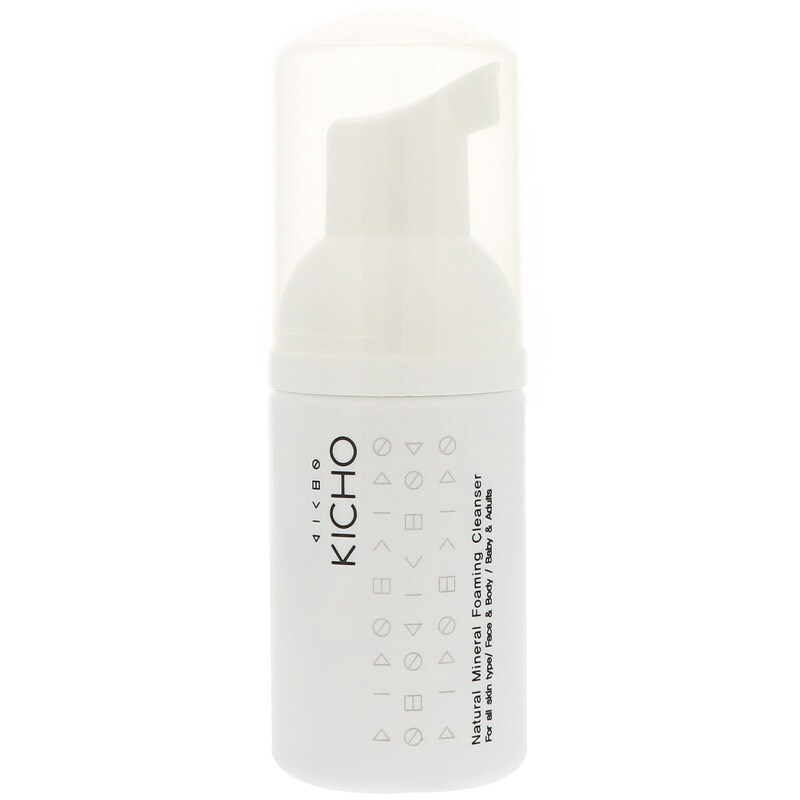 Wet face with warm water, pump one to two times and apply the Foaming Cleanser in circular motions. Thoroughly rinse with cool clean water then pat dry. Coco-bétaïne, eau de mer, eau, acer mono sève, décyl glucoside, glyceirn, cocoyl glutamate de potassium, citrus grandis (pamplemousse) extrait de fruit, camomille, recutita (matricaria) fleur / extrait de feuille, extrait de feuille de camellia sinensis, écorce de magnolia kobus , extrait, extrait d'écorce de salix alba (saule), extrait de pépins de citrus paradisi (pamplemousse), extrait d'apium, extrait de graveolens (céleri), extrait de feuilles de brassica oleracea capitata (chou), extrait de riz oryza sativa, extrait de fruits solanum lycopersicum (tomate) , extrait de feuille de brassica rapa, extrait de graine de triticum vulgare, extrait de proprolis, extrait de branche de thujopsis dolabrata, huile de feuille de rosmarinus officinalis (romarin), huile de fleur de cananga odorata, daucus, extrait de racine de carotte sativa, brassica oleracea italica (brocoli) extrait, huile de rose, lavandula angustifolia (lavande) oi, ivia sclarea (clary) huile. 1. If you experience any of the following symptoms after using this product, you are advised to stop using it immediately. If symptoms persist, consult a dermatologist. 1 ) Red rash, swelling, consult a dermatologist. 2 ) Any of the above symptoms when area of application is exposed to direct sunlight. 2. Do not use on area of the skin with scarring, eczema or dermatitis. 3. Avoid contact with eyes, in case of contact with eyes immediately wash with water.